A student of San Pedro High School (SPHS) is back on the island after participating with the male basketball team of Sadie Vernon High school at the CODICADER* games held in Quetzaltenango, Guatemala. 16 year old Joel Ruiz, a senior student at SPHS was chosen to join the Belize contingency to the CODICADER, which is the highest tournament for students in the Central American region. It is a major accomplishment for Ruiz, who managed to be one of the key team members whose excellent performance contributed to Belize capturing the gold medal. Belize played their four games from the 4th to the 7th of September, winning all four games. Belize played against Honduras first, winning by a score of 95 to 81. The second game was with Costa Rica and Belize also won by a narrow score of 65 to 63. Belize faced the host country Guatemala in the third game and won by 18 points earning, them a spot in the finals. The final game was a rematch between Belize and Costa Rica, who had lost only one game during the qualifying matches to Belize. Having a good knowledge of their rivals, Belize went to the court with full force, scoring 92 points to Costa Rica’s 58, capturing the gold medal. A very happy, triumphant Joel Ruiz spoke to The San Pedro Sun. “It was my first time at a CODICADER game and for me it was very exciting and I am very happy that I was asked to be a part of the Belize Team. I was the only person chosen from the SPHS, which placed second in the national tournament earlier this year,” said Ruiz. “I want to thank teacher Paul Kelly and my parents who supported me to have this experience. I also want to thank Sadie Vernon for allowing me to be a part of their team,” he ended. Belize captured the Silver in the 2011 basketball CODICADER games and was also represented by Sadie Vernon High School. 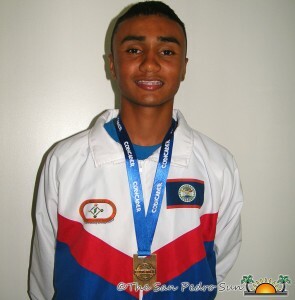 Congratulations to Sadie Vernon High School, and especially to San Pedro’s very own Joel Ruiz for winning the gold medal in the 2012 CODICADER Basketball games! 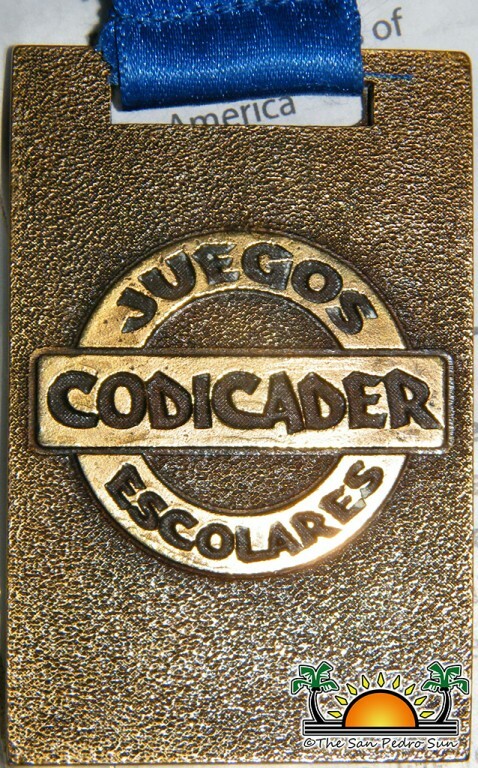 *CODICADER - Consejo del Istmo Centroamericano en Deportes y Recreación (English: Council for Sports and Recreation of Central America).